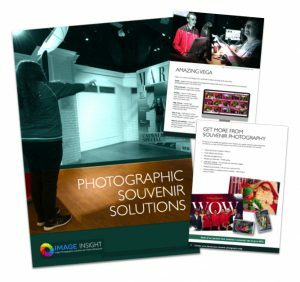 Water Parks and rides present their own problems when it comes to guest photography, but at Image Insight, we are well versed in the implementation and operation of these types of attractions. With our years of successful experience, we are able to consider all of the factors and challenges inherent in this type of photography, and to design our solutions accordingly. 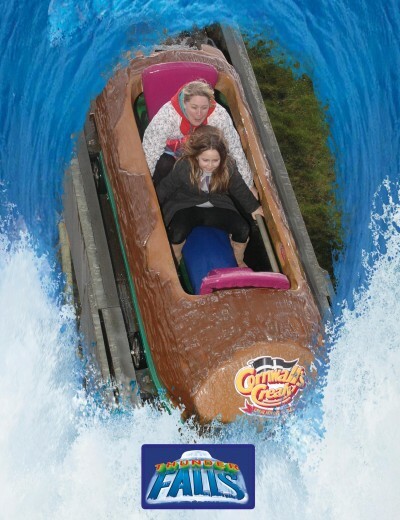 We can install our photographic systems on all types of wet rides, including log flumes (such as at Crealy Theme Park) and lazy rivers. 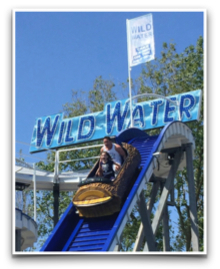 These are very popular with guests as, like other types of rides in a water park or theme park, it is usually not possible for a member of the public to take a good photo due to the design of the ride. Our systems, on the other hand, are built to be reliable, to work quickly and to produce quality images which your guests will love! Images are captured automatically and are immediately transferred to the viewing station where guests can see them when they exit the ride. We offer a number of solutions which enable guests to view their images: multiple viewing screens remains the most popular, with RFID gaining popularity.